You have the world at your feet. You can travel to exotic places or big cities whenever you like (depending on when you can get leave from work of course). When you’re not working hard to build your career, you enjoy a night out with your best mates and catching up for dinner with the family. You truly are the master of your own destiny. But it’s harder to save on one income to buy a home and to invest for the future. The following is a list of most frequently asked questions by Singles. To view the entire list of frequently asked questions, please visit the FAQs page. I don’t have enough to invest on my own. What options do I have? Non-bank lenders for creative financing. I can’t afford to buy where I want to live but still want to get on the property ladder. What should I do? A strategy that often works well is to rent where you want to live. And buy an investment property in a growth area, where you can afford. It helps to think outside the square. And get professional advice. Your time is precious. And perhaps you’d rather be spending time with friends or planning your next holiday – than investigating the countless investment options out there. Let alone struggling on your own through the often arduous process of making a purchase happen. And filtering out the right people to help you. It’s a jungle out there…in this currently unregulated property investment industry. 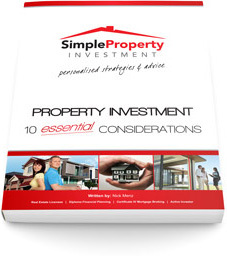 We guide you through the investment jungle with professionally insured property investment advice. To recommend trusted professionals who are at the top of their fields to work with you if needed. To take you through our simple 7 step process to easily acquire an appropriate property that fits your individual requirements. We’re here to answer your questions.